Some weddings are so beautiful the images just stop you in your tracks. That's what happened the first time I saw the very first image from Rachel and Jay's wedding. I had to see more. 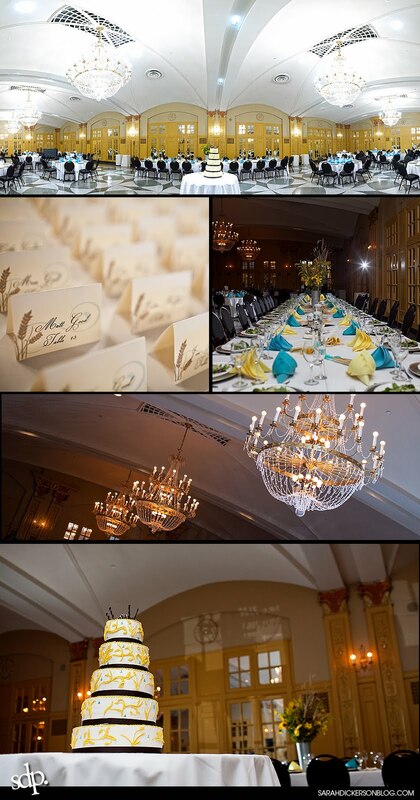 The vibrant color, the fabulous blend of rural beauty and city sophistication, the tiny touches that make a wedding truly unique and special. Check it out! 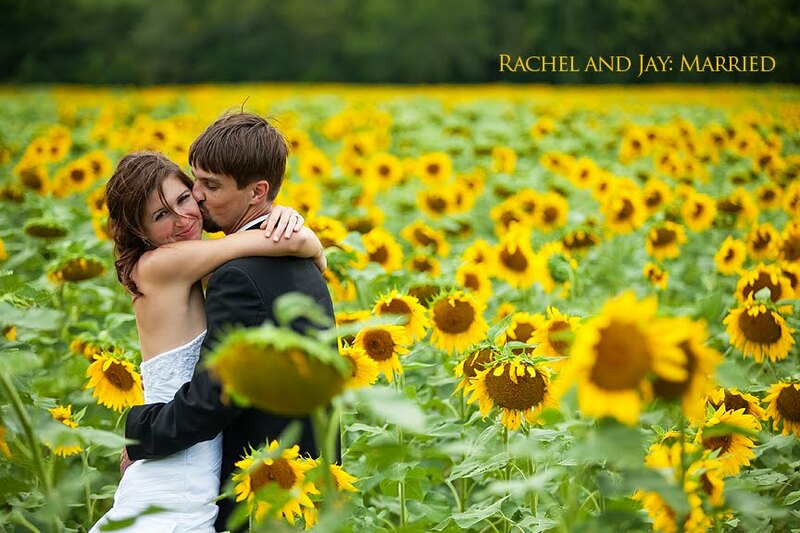 Can you believe the sunflower field shots weren't planned? The photographer spotted them on the drive to the ceremony! 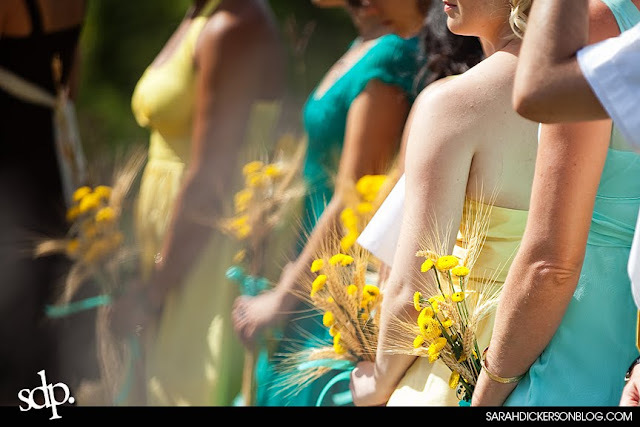 I could hardly believe it when looking at all those vibrant yellow details at the wedding. What luck--and what a lucky couple to have such an observant, thoughtful photographer! All photos were taken by the talented Kansas City based Sarah Dickerson. Please go check out the full set of Rachel and Jay's wedding photos on her blog, where you'll find many more (and bigger!) pictures of this wedding (and a bunch of other great photos, as well).